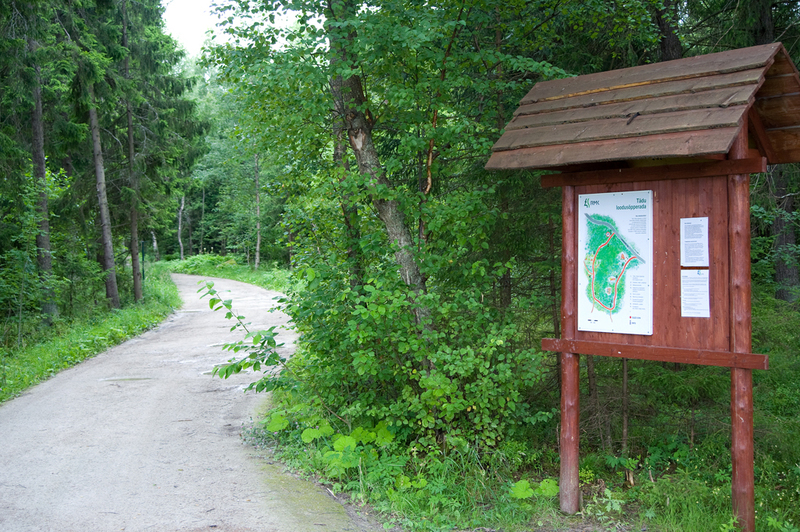 Tädu nature study trail is under reconstruction. The new route is indicated with green marks on the trees. 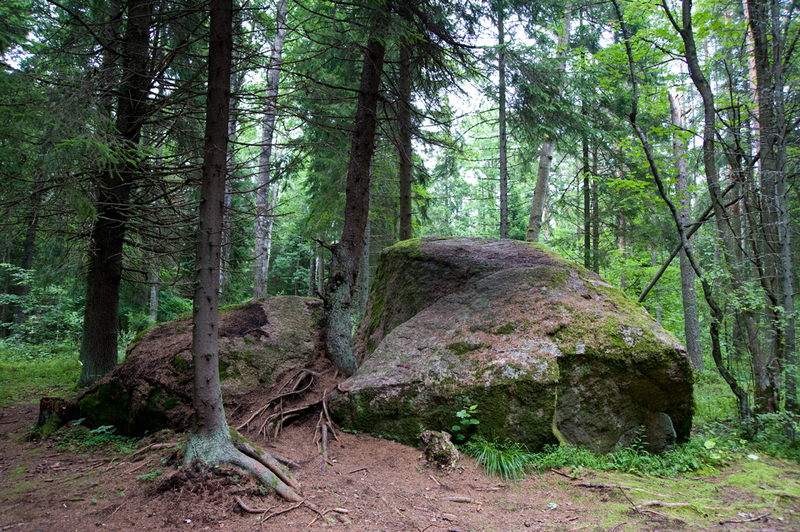 The 3.5 km hiking trail is perfect for a nice Sunday walk. 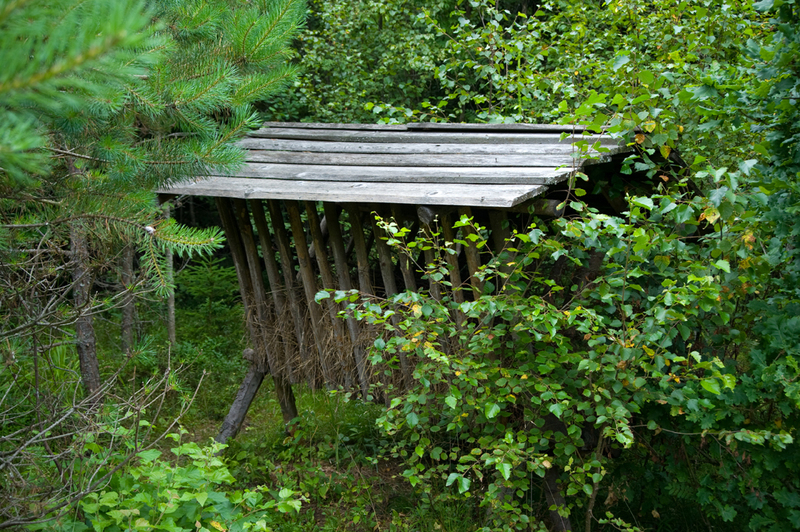 The trail runs along a gravel road – suitable also for baby carriages and strollers. Information boards by the trail. 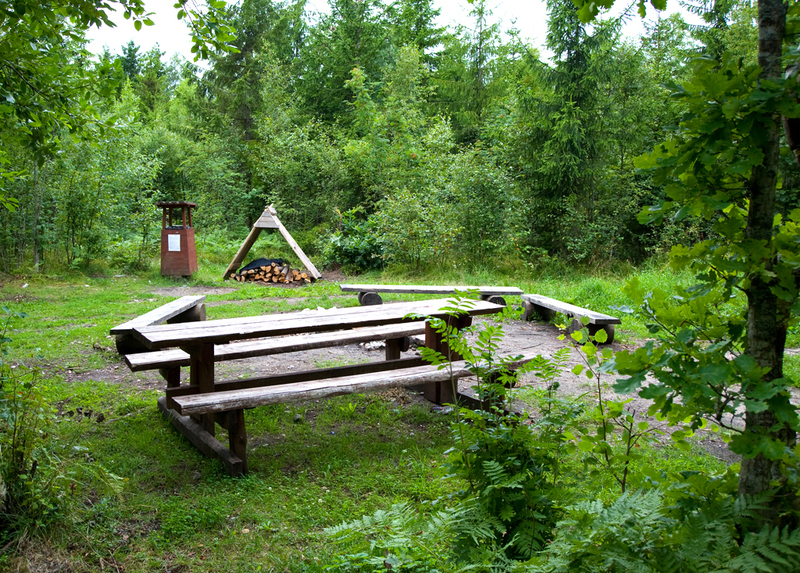 At the end of the trail at a campfire site it is possible to make campfire and have a snack. Amenities At the start and half-way through the trail there is an information board with a map and general information. There are 9 points of interest, 1 campfire site, a dry toilet on the trail. It takes about 1.5 to 2 hours to walk the trail at moderate speed. 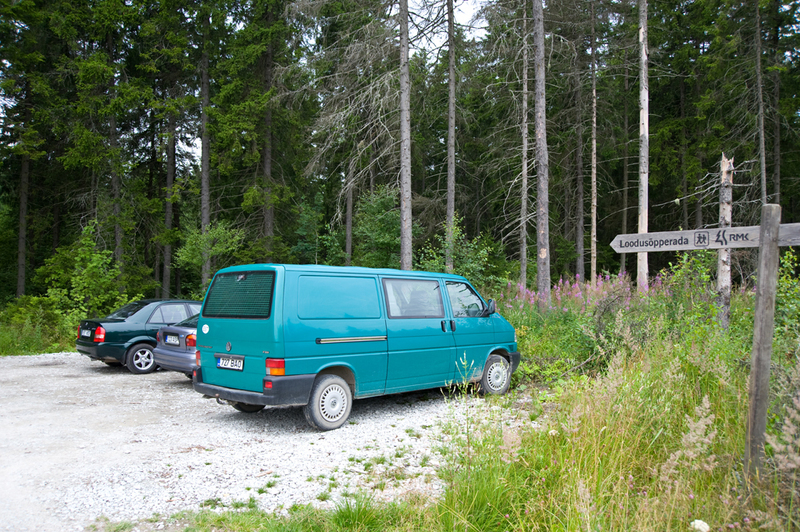 The trail ends at Randvere tee, where it is 800 metres along the road to the start of the trail. 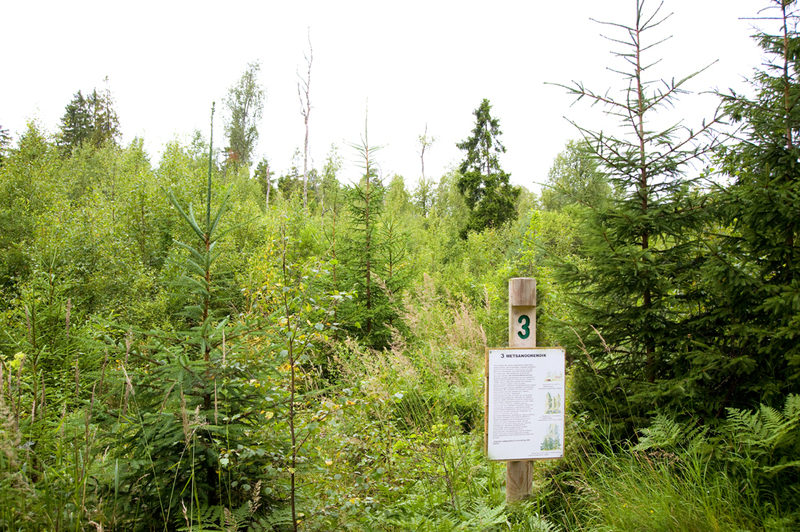 This forestry trail highlights different tree species and stages in forest management – what is done, how and when. 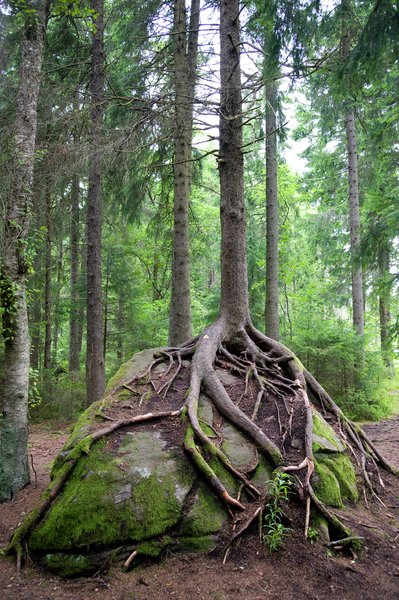 Sights Spruces growing on rocks, erratic boulders, species-rich forests, different stages in forest management. Additional information Access roads are kept clear of snow; no snow removal on the trail; firewood is available. Take bus no 38 (Viru keskus - Muuga, timetables here) to "Hansunõmme" stop. There change to bus no V2 (Randvere - Haabneeme, check timetables here) to stop "Tädu kuusk". To get to the starting point of the trail you need to walk back a bit. Bus no 1A (Viru keskus - Viimsi keskus, timetables here) from city centre to the final stop "Viimsi keskus". Change to bus no V2 (Randvere - Haabneeme, check timetables here). Get off at stop "Tädu kuusk". To get to the starting point of the trail you must walk a bit ahead.